I hear this question ALL the time! My baby always falls asleep while breastfeeding and I am not sure she is getting a full feed. Then after I put her to bed, she wakes up shortly after. HELP! For sleep to be successful, its imperative baby is getting enough milk throughout day and night. 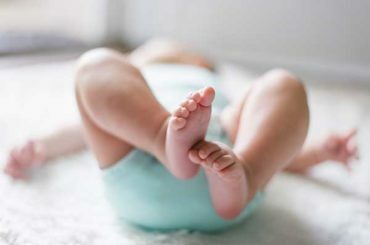 If your baby likes to doze off into a milk coma partially through a feed, my suggestion is to keep him or her awake the best you can (you can burp them or adjust them slightly to rouse them) to make sure they get a nice full feed which would include the foremilk and hind milk full of goodness. If your efforts aren’t successful, that’s ok, it’s going to happen. Just place your baby back in their crib or bassinet asleep if this happens and try not to have them always soothe at the breast for sleep. If your baby wakes after 40-45 minutes, and you know they likely had a full feed, it’s likely due to the fact that they went to sleep one way and awoke another and do not know how to get back to sleep on their own (or without that breast in their mouth!). This also happens if you rock your baby to sleep or if they are dependent on a stroller to sleep…. 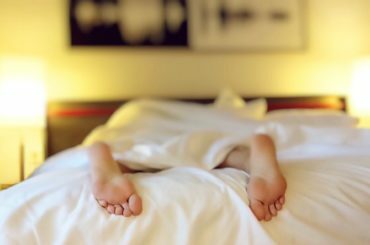 Those are the “crutches” that can negatively influence sleep. If your baby didn’t feed on both sides, or you didn’t see many ‘swallowing’ actions while baby was feeding, it’s likely your baby woke up hungry so time to feed – this can especially happen when babies are younger. If you are unsure whether your baby is getting a full feed or are having difficulties or questions I would recommend you seek assistance from a Lactation Consultant or www.nbci.ca is also a great resource. When your little one is new to this great big world, there are ways you can help provide them the skills for healthy sleep right from day 1 in a very gentle way. At this age you should not expect them to be sleeping through the night. 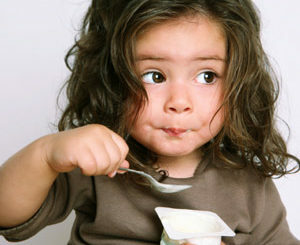 It is so important, especially in the early days, that your baby is fed frequently for maximum nourishment. But over time, with the right skills in place, they can transition to beautiful full night sleepers by giving them the guidance and skills as they grow.